A brief primer on wine pricing, from vineyard to wine store. Wine, most simply put, is fermented grape juice. So, why do we pay such varied prices for it? Is it because of the luring shelf-talker proudly proclaiming a 90-point rating? Or, because of the sommelier who waxes poetic about provenance and production? Well, these are definitely influencing factors on how we ultimately allocate our wine dollars. But, it’s production parameters, from the vineyard to the winery to the shelf, in most cases, that justify the price tags on those bottles that tempt us to dig deeper into our pockets. The first three years after a vine is planted, no suitable grapes for wine production are yielded. Then, the vine enters a youthful phase and has a tendency to overproduce foliage and fruit. A vineyard that yields 6-8 tons of fruit per acre is great for the farmer getting paid by the ton, but not for the consumer. These overachieving vineyards will likely produce anemic, weedy, insipid wines. Vineyard site and vine competition are natural ways of lowering yields. When vineyards are planted on hillsides, in tight rows, on rocky soils or less-fertile land, the vines struggle and yields plummet. A laborious and expensive way of reducing yields is by cutting fruit before it’s fully developed. 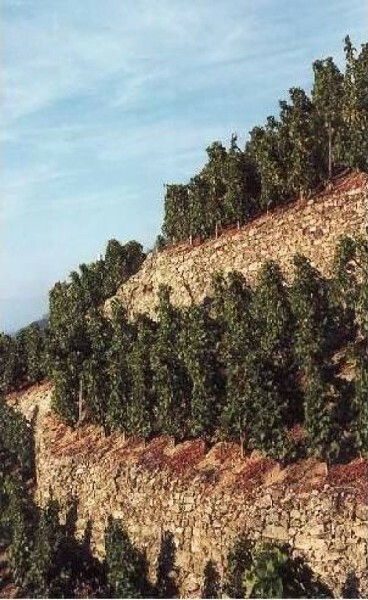 These lower-yielding, well-kept vineyards produce wines with more structure and intensity. There are two ways to get fruit from the vines: by hand, or by machine. Machine harvesters have no selection skills and are quite violent. They go between or over rows while padded arms slam the trunks of vines and everything that falls goes into the bin: overripe and underripe. I’ve even heard of stowaway bugs and critters making their way to the winery. By contrast, manual laborers pick grapes with precision, where they’re placed into small baskets to avoid bruising or breaking the grape skins to prevent off-flavors. Conscientious producers also have lengthy sorting tables where undesirable fruit is discarded. Yields continue to diminish for quality producers as prices are forced upward. Most white wine is fermented, allowed to settle in stainless steel tanks and then bottled. This saves you money and saves the winery time. Most red wines are treated for nine to 18 months in some type of new or used oak. During this period, the wine picks up flavors from the oak, and a small amount of air transfer promotes the development of complex flavors. Oak is not cheap, and French oak—the preferred oak of fine wine producers—can be two to three times as expensive as American oak. French oak has a finer grain with a more subtle influence of spice flavors as opposed to the high amount of spice and sometimes overpowering vanilla flavors imparted by American oak. Then, triple the price for new versus used oak and you get the picture. To ensure clarity, most wine is filtered— and, too often, over-filtered, reducing flavor and texture. The alternative is costly, and involves repeatedly moving wine from one barrel to another while leaving the sediment behind; try a cup of drip coffee versus French press to get the idea. You don’t have to spend your rent money to enjoy great wine. But I hope now you’ll scoff less at premium wine prices, knowing the economics and production parameters behind them. Still, don’t trust me. The proof is in the bottle. Louis Koppel, CSW, is sommelier at Spencer’s for Steaks & Chops.